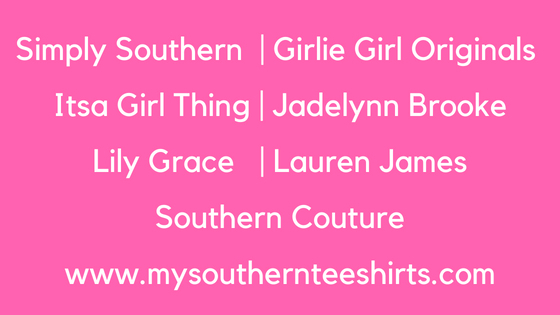 Alright you preppy southern girls, take a look at these preppy brands that have shirts like Simply Southern. As a former retailer of preppy southern t-shirts, I know that picking the right brands and designs can be a challenge. 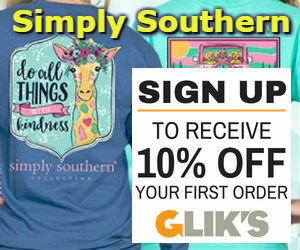 Click Here for a Big Selection of Simply Southern T-Shirts, Caps, Bags, and many more items. When I first started there were not many brands available. I remember the first time I went to a trade show looking for preppy southern shirts. I just about struck out finding any. But as the years went by they starting to become very popular. Now there are so many to choose from. This is the reason why we started My Southern Tee Shirts. Our main mission here at My Southern Tee Shirts is to provide a service to those looking for preppy and southern shirts. We will search the internet for these shirts and provide you with information. Such information will include new brands and designs and where to purchase them. We will begin having a My Southern Tee Shirts Newsletter in the next few months. Click Here to sign up for this newsletter! Alright you preppy southern girls, now take a look at these preppy brands that have shirts like Simply Southern. 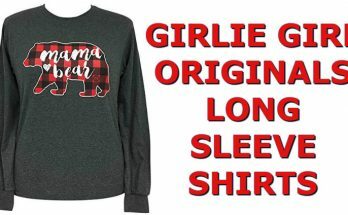 Girlie Girl Originals started their business in 2008 in Booneville, Mississippi. As stated on their facebook page “Girlie Girl Originals combine funny tag lines, fresh graphics and funky color combinations to create a one-of-a-kind t-shirt design.” They also continue to add new designs each and every season of the year. For any collegiate fans they have cute and preppy collegiate t-shirts available. They also have a full line of accessories for any Girlie Girl. Itsa Girl Thing was founded on March 16, 2011. Their facebook page states that they have “Sassy and cute t-shirts to match your fun, creative and spunky spirit!” Some of their awesome t-shirt categories are: southern, classic, country, hunting, christian, who you are, cancer awareness, state pride and seasonal. In addition to t-shirts they also have caps, tumblers and koozies. Lily Grace also started their business in 2014. The Lily Grace t-shirts are known for the hand drawn art work on all of their t-shirts. Lily Grace shirts have that traditional southern lifestyle drawn into all of their shirts. If you are looking for grace and charm in your t-shirt, then take a look at Lily Grace’s designs. One customer stated “that their fabrics of their shirts are so soft and the style makes them casually comfortable.” Also be sure to take a look at their hoodie tees, shorts and accessories. Lauren James started their business in 2013 by Lauren Stokes. She was a registered nurse turned fashion designer. As stated on their facebook page their mission is “To deliver quality products with an exceptional level of customer service. We make goods that make you feel good, and that’s the way it should be.” Some of the items that they carry are southern shirts, shoes, shorts, pants, blouses, jackets and accessories. Be sure to check back often for their new designs! Southern Couture which is part of the Couture Tee Company was founded in 2009. Their t-shirts are some of the most unique southern designs found on the internet. Southern Couture T-Shirts also feature bright colors with fun, preppy & cute screen printed designs. Customers say “These tee shirts are so cute and comfy!” Therefore if you are looking for a cute tee to show off your southern personality then Southern Couture is perfect for you. Because these tees have so many different styles and designs that are just sweeter than honey. Once you have one, you’ll be eager to start your own collection or to start gifting these comfy tees to family and friends. Original Jake drawing, July 1994 By the Fall of 1994, heading home from a long, less-than-fruitful road-trip, Bert and John were desperately searching for answers to keep the dream alive. Little did they know, the only answer they needed was back in Boston, hanging up on their apartment wall. First day ever selling Life is good, Cambridge Street Fair, September 1994 One fateful September day, they printed up 48 Jake shirts for a local street fair in Cambridge, Massachusetts. They laid the shirts out on their rickety card table. By noontime, all 48 of those tees were gone. A star was born. Soon Jake was introduced to local retailers, and his simple message of optimism was embraced like nothing the brothers had ever seen. As demand for product soared, Jake’s team grew, and the Little Brand That Could began to spread across America. Today, the New England based brand stays close to its roots, with an emphasis on simplicity, humor and humility. Through Life is good Festivals, positive products, and a steady dose of ping pong, Jake’s crew does its best to keep the good vibes flowing. Next Article Do Simply Southern Shirts Shrink?